The materials used in creating these pieces have evolved to the point where today’s veneers offer patients a look much closer to natural teeth than was ever available before. 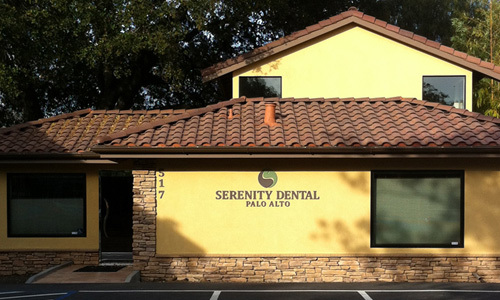 At Serenity Dental Palo Alto, our veneers come in both porcelain and composite resin materials. Both of these types of veneers can be custom-fabricated by our technicians in our dental labs, but composite veneers can even be fabricated directly inside your mouth. Porcelain veneers are more expensive, but they are proven to last longer. For more information about our dental veneers, please call our Palo Alto dentistry office at 650.327.7525 or email us at APPT@PaloAltoDentistry.com. If you are in or around San Jose, please visit our San Jose Porcelain Dental Veneers page or call our office at 408.999.0444. We’re happy to answer any of your questions. We also offer porcelain dental veneers in Aptos, Santa Cruz, Capitola and Soquel. Please visit our Aptos Porcelain Dental Veneers page or call our office there at 831.688.6531 for more information.